May our heavenly Father richly bless you as you steadfastly look to Him and the Lord Jesus one day at a time. During World War II, my father was serving in the Navy in China when I was born. He came back home about the time I turned two, and immediately began throwing me a ball. When I was six, we moved to a home with a good-sized driveway and yard, and for the next ten years that plot of ground served as the neighborhood basketball court and baseball/football field, where many kids whose dads did not teach them about sports came to enjoy my father’s athletic tutelage. Although my dear father encouraged me to take an interest in other things (like work), nothing but basketball, baseball, football even skirmished with, let alone arrested, my fickle attention. In retrospect, I’m sorry I didn’t work harder at them. OK, comedy did infiltrate that sweaty triumvirate, maybe because I had so many opportunities to laugh at myself in the athletic arena. It’s hard to find a venue to play football or baseball after college unless you do so professionally, but I did play basketball, staying on the hardwood (even full court) until just before I reached 55 (years, not mph). After that, it became too hard to find people slower than I to play against, and I was reduced to the level of a spectator. Having been privileged to watch, and root for, some of the greatest athletes in their sports during my lifetime, my passion for their success was only slightly less than my passion when I took the court and played myself. Thus I have time and again, in total circumstance orientation, gone to both the heights of ecstasy and the depths of despair while watching my favorite teams play. But better to have loved and lost than never to have loved at all. I am writing the first draft of this letter on the day after our Indianapolis hometown college basketball team, the Butler Bulldogs, extinguished the Cinderella hopes of VCU in the semi-final game of the NCAA basketball tournament. My dad first took me to Butler Fieldhouse (where Hoosiers, the famous movie starring Gene Hackman, was later filmed) 60 years ago, and I have been there countless times since, often watching the Dawgs dismantle highly ranked teams who badly underestimated them. As I write, I can close my eyes and smell the innards of that historic edifice. “The Butler Way” embodies many biblical principles of giving, loving, working hard, being selfless, and believing in one another’s gifts, and for me that adds to its appeal. The idea for the subject of this letter came to me before the game yesterday while I was awash in the emotion of the underdog Bulldogs’ second consecutive “impossible dream” and became aware of how positively adrenal I felt about it. (You surely will recall how they lost the championship game last year by two inches—that’s how much their last-second shot to win it was off the mark, from 45 feet away). To assuage your now no-doubt burgeoning concern that I am making too much of a stupid game, rest assured that I realize it may hold no place in “His-story” and the eternal scheme of things (I said ”may”). The point I am circuitously arriving at is that if my passion is such that I cry when little Butler takes down one Goliath after another, and if during a game I can repeatedly leap from my seat shouting precisely what the referee should have seen, and then take laps around my house (or that of a startled friend), or if I lie awake quivering for an hour after a game, I am compelled to wonder how my passion for Jesus Christ and becoming like him compares to the aforementioned passion that literally burns within me. The way for me to accurately determine that, and for you to determine your own level of passion for the Lord (or for anything else) is to look at your actions, not your feelings. What priorities do you arrange other things in your life around? Yes, “e-motions” should set you in motion, but it is only your motion (behavior) that precisely depicts what is in your heart of hearts. Even though I have devoted the past 43 years of my life to making known the Truth of God’s Word about Jesus Christ, I know that my level of commitment to knowing him and becoming like him can still increase. 8 Whenever I speak, I cry out proclaiming violence and destruction. So the word of the LORD has brought me insult and reproach all day long. 9 But if I say, “I will not mention him or speak any more in his name,” his word is in my heart like a fire, a fire shut up in my bones. I am weary of holding it in; indeed, I cannot. I want to stand for Truth like Jeremiah did despite those opposing him when God called him to relentlessly warn Israel of the impending consequences of their disobedience (verse 8), and I want to be able to honestly echo his words in verse 9, no matter what it costs me in this life. How about you? When it comes to basketball, I LOVE THE GAME itself, with its many required skills, and the nuances of how five people can seamlessly interact to the end that they each play the role best suited for them, both individually and collectively. I love the mental aspect, and the necessity for constant awareness of both yourself and the other nine players on the court. I LOVE THE TEAM concept, and the lifelong esprit de corps that can come from ignoring personality quirks and competing side-by-side with one another amidst the intermittent successes and failures on that 94’ x 50’ rectangle. My Kenyon College basketball coach, a former starter on the NBA Champion Minneapolis Lakers, was the first person able to instill in me a true work ethic. He helped me understand that the will to prepare to win was what would get me through those seemingly interminable whistle drills and wind sprints that took so much out of me that I sometimes had no energy to comb my hair after practice—literally. Such practices were often no fun, and I felt nothing like how pumped up I was before a game. I had to remind myself that such grueling effort was consistent with my underlying passion for the game, for my teammates, and for winning. In a similar sense, I believe that you and I are to relish the spiritual battle in which we find ourselves each day, despite its rigors and the hard work required for us to succeed. Knowing that the Lord has equipped us for success should motivate us to “train [Gr. gumnazo=to exercise vigorously] ourselves to distinguish good from evil” (Heb. 5:14) so as to maximize the godly potential he has given us. And I am sure that you too long to experience (perhaps as you once did) the “hearts knit together in love” camaraderie that comes only from Christians competing shoulder-to-shoulder with a common passion to magnify Jesus Christ, the Living Truth. Of course you know that cannot happen unless you are “in the game,” exercising your giftings in conjunction with your brothers and sisters in Christ. So if you are not actively involved with Christians standing in Truth upon the doctrinal pillars of Christianity (see Eph. 4:4-6), I exhort you to go to the Lord and figure out how to get involved with such saints. When the opening tip goes up in the championship game tomorrow night, I will not know whether Butler is going to win (I now know they did not). And that is the main difference in regard to the spiritual battle (Eph. 6:10-18) in which we as Christians are engaged: we know that in the end WE WIN! It might seem to some as if that certainty could cause us to slack off in the intensity with which we engage in the contest. On the contrary, the whole truth about how we can best savor the fruits of victory in the future should motivate us to give our utmost for his highest now. How so? Because from the moment of our new birth, the Lord Jesus began keeping score for each of us, and at his appearing that scorecard will be made known to all. The REWARDS he gives us will be based upon the total picture of how we lived our lives as Christians. Although I don’t see many specifics in the Word about those rewards, I know that because the Lord is just, (a) every godly act will in some way count for good, and (b) no one (Christian or non-Christian) is going to get away with any un-repented-of sin. Yes, all Christians will enjoy everlasting life, but we do not want to be “ashamed at his coming” (1 John 2:28), paying a price (fewer rewards) for ungodliness for which we have never accounted. We not only want to enjoy winning, but also knowing that we contributed what we could to the victory. Through my years in prep school and college, an assortment of coaches, some now bald, others institutionalized, desperately attempted to penetrate my young psyche in order to draw out my best performance. My college coach had a penchant for doing so at high decibel levels. But once it dawned on me that he knew what he was talking about, and that he had the same goal I did: for me to play my best and win, I learned to listen to what he was saying, not how he said it, and my game improved significantly. One way to measure how badly you want something is by how willing you are to recognize and receive correction designed to help you achieve your stated goal. Even as I write it, I find that statement piercing. Let a righteous man strike me – it is a kindness; let him rebuke me – it is oil on my head. My head will not refuse it. 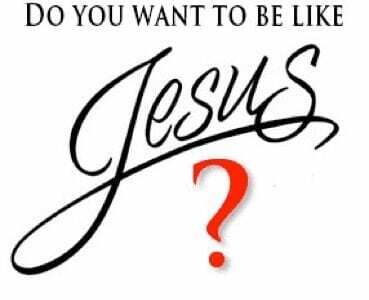 How badly do you want to be like Jesus? To what degree does the goal of “Christ being formed in you (Gal. 4:19) burn in your heart? That desire is directly proportional to how much you appreciate finding out you are not being like Christ. Sure, because your desire to achieve your goal will supersede and supplant the inherent sinful desire to look good, feel good, be right, and be in control. This paragraph and the one above it are well worth your deep personal reflection, and mine. If we go by the dates on the 2011 calendar, we are now in the 40 days between Christ’s resurrection on April 23 and his ascension on June 2, ten days before Pentecost, which will be coming up on June 12. Imagine being with the resurrected Jesus during that time and hanging on his every word. Acts 1:3 says that he “showed himself alive after his passion with many proofs” (ASV), and the Greek word for “proofs” means “indubitable evidence.” Our Lord Jesus is no respecter of persons, and he will prove himself to each of us when we take him at his word and act accordingly. He is a complete and gentle Savior, able and willing to save us from the sin that dwells in us (Rom. 7:17). Having been tempted in all ways like we are, he is touched with the feeling of our many infirmities, and will meet them with a burning passion to heal us and rid us of everything that stops us from becoming like him. Let us identify with his interests in one another, and stand with him by lovingly being true to Truth.